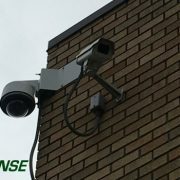 You know the security basics — having a security system, posting your security signs and stickers, keeping your property clean and landscaped and having good lighting. But with the colder, rainier weather comes a whole new set of winter safety tips and security measures to consider. We’ve gathered a list of some easy items to check off your list to help keep your property secure in these longer, darker and rainier months. 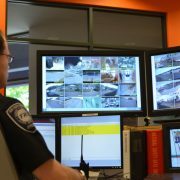 If you have any questions about surveillance camera maintenance for your interior or exterior camera, refer to your camera’s User Manual or feel free to give us a call any time at (503)207-5300. So you weren’t pulled out of your precious REM cycle at 2:30 am this year by the chirp on your smoke detector telling you it’s time to change your battery – that’s great. But as time creeps on, the battery on your smoke and CO slowly drain and it’s important to test them regularly to ensure they are in good working order. An easy trick to make sure they are always powered properly? Check on the batteries in your CO and smoke detectors during daylight savings when you move your clocks forward or backwards. In addition, it’s always a good idea to keep the area around these devices clean and dust free to ensure their sensors work at maximum efficiency. Not sure how to check your battery life? Check out our Tech Tip video on it here. For older devices, a good rule of thumb is to gently twist the cover and replace the battery when the cover comes off. Before the great Oregon rain officially arrives and stays for the next six months straight, it’s a good idea to walk your property inside and out to check for water damage and other issues that might impact not only your property, but how your security system works with your property. Water damage or warping can cause alarm sensors to move or cease working, leaving weak spots in your security system. Catching this damage soon after it happens is integral in ensuring your door and window sensors still work properly and remain where they were originally installed. Common signs of water damage include stains, discoloration, material separation and mold or mildew smells. If you think water has damaged your security system, call your security provider to have a technician review the situation. Did you know that 30% of Americans report that they’ve had a package stolen at some point? It seems like package thieves are in the news every few months in the Portland area, preying on unattended porches to snag packages before the owner is any the wiser. Video doorbells can quickly put a stop to that — or at least give you the peace of mind of knowing who is at your door. With a video doorbell like the Skybell, you simply have it installed in place of your regular doorbell, download an app on your smartphone and wa-lah! You receive notification any time someone comes to your porch — with live video — and have the ability to communicate directly with them. And should someone run away with that perfect gift you found for your kids, rest assured that the app has the footage recorded and ready to send to the authorities. 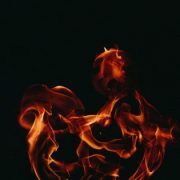 We Install, Contact Us Today! If the memory of being stuck in 4+ hours of traffic during the snowpocalypse 2 years ago isn’t enough to encourage you to stock up on emergency supplies, we aren’t sure what is. Make sure to have food, water and an up-to-date emergency kit stashed in your car, as well as in a safe place in your house before the foul weather hits. But of course, customize to suit your needs — an extra phone charger in your car may be useful, or maybe extra baby formula if you have a newborn. While it can be difficult to prepare for everything Oregon’s winter season may throw your way, we hope these winter safety tips will help. 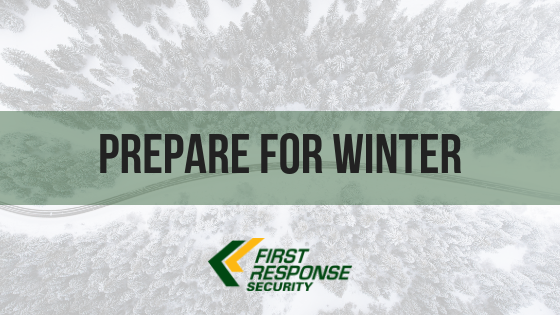 For more information about securing your home or property for winter, or with any questions about services First Response offers, give us a call at (503)207-5300. 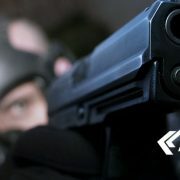 Founded in 1989 and headquartered in Beaverton, First Response Security is one of the largest privately owned security companies in Oregon. Our commitment to “A Higher Standard’ enables us to deliver the client service we believe you deserve. Kaitie is the Marketing Coordinator at First Response. She likes writing about security, dreaming up new marketing and content ideas, and using a lot of em dashes (you’ll see). She studied journalism at University of Oregon and comes to First Response with more than 4 years of professional writing experience under her belt. Outside of work you can usually find her hiking in the Gorge, taste testing every latte in town, or watching Parks and Recreation…again.